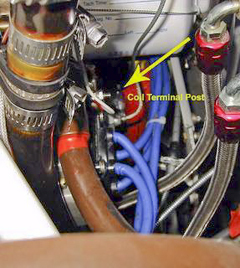 Before I started the prop tests in the fall of last year, I was very interested in the new electronic ignition that I had seen on the web. www.g3ignition.com . I called Thomas Shpakow the owner of Generation 3 Ignition and he agreed to install one on my 7A. I found the installation was simple for even me as electricity and I just don't get along. I tell people that I am so electrically challenged that I hire my neighbor to change my flashlight batteries. Oh well, I would bet that some electronics guru can't weld either. The hardest part of the installation was removing the Bendix mags. and installing the post that hooks up the G3i system. Now after flying it almost 100 hours, here are the reasons that I really like the G3i. 1. Easy to install, even I could follow the wiring diagrams. 2. 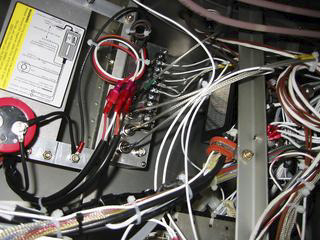 The system uses the existing mags and if there is an electrical failure, the mags operate normally. 3. The engine starts very well both hot and cold. 4. I can now run lean of peak if desired whereas before my M1B, with standard mags balked at anything beyond peak EGT. 5. I see a lower GPH with the G3i system vs standard mags. 6. The M1B engine is extremely smooth with the G3. 7. I used the expensive Champion fine wire spark plugs(I had a set on the shelf) gapped to .021 however I understand that an inexpensive automotive plug can also be used. 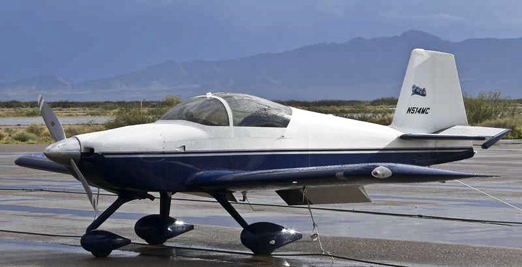 After installing the G3ignition system, My RV-6 with an O-360-A1A engine starts much easier, a smoother idle, and noticeable improvements in overall smoothness and power. My fuel flows at cruise have drop from 10.6 gph to 9.6 gph at 23” @ 2400 rpm. Noticeable fuel savings at other power settings also. It sure is nice to know that I have great performance electronic ignition system with the back up redundancy of Slick magnetos. This is a nice set-up. 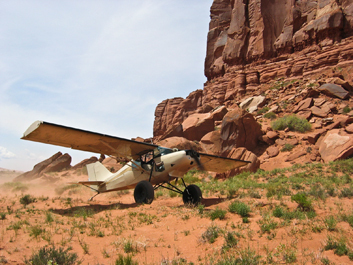 Once a Maule MX7, and now highly modified for high altitude bush flying. 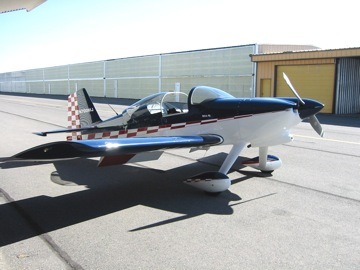 Some of the modifications include extended wings with leading edge slats (Wayne Mackey), extended empennage and larger tail surfaces for improved low speed control. The landing gear has been radically changed and uses two custom hydraulic shock absorbers, each with compression and rebound dampening and over 25" of wheel travel. 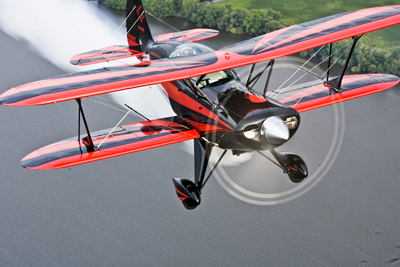 The engine is a Lycoming IO-540 with a cold air induction & 10:1 pistons, swinging a 90" propeller. At Denver's altitude, takeoff power is quite good, but at higher altitudes more is always better! This is why I have the G3 ignition system. 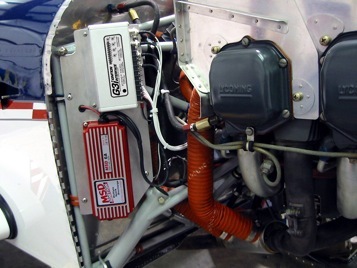 It's primary purpose in my aircraft is to provide a timing retard for a nitrous system. 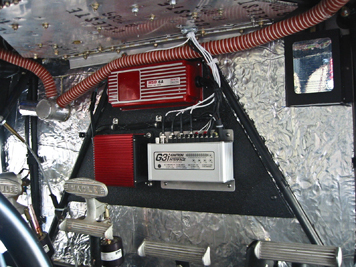 The nitrous is used as an altitude normalizer and activated during ground acceleration and initial climb. With the G3 ignition timing retard function, I can run a larger nitrous boost without fear of detonation. 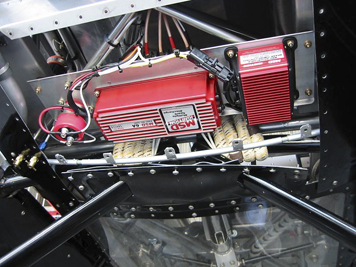 As a bonus, with the ignition system alone, there is an increase in static rpm by roughly 50-75rpm, and a smoother running engine. I like the fact that this product, unlike others, allows the stock magnetos to remain in use as a redundant system. This means I can run dual electronic ignition without running dual batteries; ultimately saving weight and increasing safety. 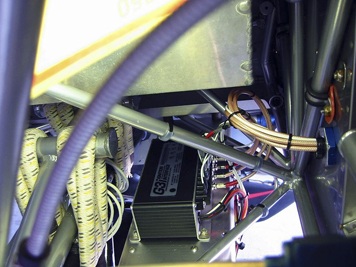 I've installed (and removed) a competitor's electronic ignition system, and found the installation of the G3 and its components to be much easier. Thank you very much for developing this product!